Owned by Randy and Sara Piper since 1982, we have a full time professional training staff unequaled in the Tulsa area. We offer PADI Scuba diving certification training on any day of the week and a private, heated, on-site, indoor pool. Poseidon offers many open water scuba classes in many different formats: avilable days, night, and weekends Contact us to sign up. Having your own mask, fins, snorkel and boots that fit properly will increase your comfort level as you're learning to dive. Complete your Open Water course and you're ready! When you're done, you'll be an official PADI certified scuba diver. Our highly experienced and dedicated instructors will take you through learning all you need to know, so that you can be a safe and happy diver. Poseidon Adventures offers training and certifications in many PADI specalties from the beginning to the advanced. Dive into the PADI Open Water course, the single most popular diving course in the world. The course includes academics, skill practice in confined water and actual scuba diving in open water, all under the guidance of a Poseidon PADI instructor. The price is $250 with the purchase of mask, fins, snorkel and boots. See us at our facility for an enjoyable, non-strenuous 2 week or weekend class, scheduled for your convenience and tailored to enter you into the WORLD OF SCUBA! Whether you're newly certified or have hundreds dives logged, when you're looking for new underwater experiences, new skills and fun, look to the PADI Advanced Open Water program - your open door	to diving adventure. The PADI Advanced Open Water Diver course can be completed in as little as one weekend. You'll make 'core' underwater navigation, deep dives, and then do 3 'elective' dives. This allows you to participate in more advanced diving activities with a maximum recommended depth limit of 100 feet, in addition to the qualifications listed for PADI Open Water Divers. The price for all of this is only $150. The PADI Rescue Diver program will teach you how to anticipate, prevent and manage potential dive accidents. From assisting a tired diver to handling emergency scenarios, you'll practice applying the knowledge and skills that can make the difference in the unlikely event problems do arise. To get into the PADI Rescue Diver program, you'll need to be certified as a PADI Advanced Open Water Diver or equivalent. And, you will also need to have successfully completed a sanctioned program in CPR within the past three years. After successfully completing Rescue program, you'll receive the internationally recognized PADI Rescue Diver certification card. Reach for the top of your sport! The diver level unrivaled in the recreational ranks: PADI Master Scuba Diver. With this certification in hand, you'll have reached the highest recreational diver accomplishment in the PADI System of diver education. The PADI Master Scuba Diver rating denotes superior achievement and proficiency in dive skills, experience and underwater activities. Isn't that what you're all about? To put yourself on top and reach the PADI Master Scuba Diver level, you need to be at least 12 years of age and complete the PADI Open Water Diver or equivalent, PADI Advanced Open Water Diver, PADI Rescue Diver, and any five PADI Specialty Diver certifications. Or, if you're a PADI Divemaster, or PADI Assistant Instructor, complete any five PADI Specialty Diver Ratings. For those of you looking to join the leaders of the pack, look no further. The PADI Dive Master rating denotes superior achievement and proficiency in dive skills, experience and underwater activities. Isn't that what you're all about? This rating denotes you as a person who: 1. Has a high level of personal diving skill. 2. Has instructor level knowledge of diving theory. 3. Has had significant training in how to assist an instructor during training activities. 4. Is able to assume appropriate responsibilities that benefit the welfare of other divers. As you may know, many PADI Dive Masters go on to become PADI Instructors. The beginning of the Instructor process is the Assistant Instructor course. This course denotes an extremely high level of accomplishment and is greatly sought out by PADI Instructors. The Assistant Instructor course is the first half of the Instructor course, so when you're successfully certified, it's just another small step to become a PADI Instructor. Upon successfully completing the PADI Assistant Instructor program, you'll receive a certification card and wall certificate denoting this rating. Here's your chance to share your love of diving with others - let Poseidon Adventures help you become leadership material! The PADI Instructor Development Program prepares you to function as a PADI Open Water Scuba Instructor. The PADI Instructor Development Program further develops your leadership and teaching abilities to the instructor level and prepares you to teach PADI programs. During the PADI Instructor Development program, you'll learn the PADI System of diver education, standards and procedures, effective academic teaching presentations, teaching in confined water, conducting open water training dives and additional related topics. After successfully completing your PADI IDC/IOC and IE, you receive a certification card and certificate denoting this rating. Don’t miss a dive due to minor issues with your scuba diving equipment. Whether it's a missing o-ring, wetsuit tear or a broken fin strap, the PADI Equipment Specialist course teaches you to manage basic repairs and adjustments. You'll also learn more about how your gear works, making you more comfortable with it and better prepared to take care of your investment. If you want to explore secrets hidden in caverns around the world you'll need your PADI Cavern Diver certification. If you dive within the light zone of a cave, the area near the cave entrance where natural light is always visibly, you're cavern diving. You need to be an Advanced Open Water Diver or higher and the minimum age is 18 years old. This is not a cave diving course and does not result in a cave diving certification. It does prepare you to enter a cave diving program. To do this you want to be trained in proper techniques and this is where PADI Dry Suit Diver Specialty course comes in. During your PADI Dry Suit Diver Specialty course, you'll not only cover the background knowledge related to dry suit diving, you'll be able to put that theory into practice applying that knowledge, including dive planning, organization, techniques, problems and buoyancy control. You will need a Dry Suit kit, which includes manual and video. Evey dive location takes on a new personality at night, as many underwater creatures and plant life (which differ from those you see during the day) are active. You will need to be an Open Water Diver who is at least 12 years old. You'll learn night dive planning, organization, procedures, techniques and potential problems. You'll also learn how to control your buoyancy, navigate and communicate at night. Since many of the plants and animals you'll see are different, you'll also get an introduction to nocturnal aquatic life. So you can experience nightlife in a whole new way. Have you ever dropped something in the water? Are you looking for lost treasure? The PADI Search and Recovery Diver Specialty course will teach you effective ways to find objects underwater and bring them to the surface. You will need to be an Advanced Open Water Diver. You'll learn search and recovery dive planning, organization, procedures, techniques and potential problems. You'll also cover limited visibility, search patterns and safe object recovery using lift devices. Have you ever wanted to go diving, but without most of those bubbles? Here's your chance to try it with the PADI Semiclosed Rebreather Dolphin/Atlantis Specialty course. To start the course, you need to be an Advanced Open Water Diver. An Enriched Air Diver certification is a prerequisite for this course. This Specialty course introduces the planning, organization, procedures, potential problems and hazards of semiclosed rebreather diving. It is specific to the features, accessories, maintenance and proper use of the Dolphin/Atlantis semiclosed rebreathers. The PADI Underwater Navigator Specialty course will help you become more proficent at finding your way underwater. You need to be an Open Water Diver to start the course. During your PADI Underwater Navigator Specialty course, you'll learn underwater navigation dive procedures, techniques, planning, organization and potential problems. You'll also be introduced to natural navigation, underwater patterns, distance estimation and further your compass navigation skills. You'll put these into practice during your three open water dives. The PADI Underwater Photographer Specialty course can help you learn how to take your fist underwater photographs or fine tune your existing skills to produce photographs that will stun your friends. You'll learn the basics of underwater photography such as composition, film type and camera handling, with special emphasis on practical techniques. You'll learn underwater photography dive planning, organization, procedures, techniques and potential problems. You'll also learn how to care for and maintain your camera equipment. Two dives over one day are required. If you dive to 50 feet on air, you can gain up to 95 additional minutes of no decompression time by diving on enriched air rather than on air. Completion of your Enriched Air Nitrox allows you to dive within the EAN no decompression limits using less than 40% nitrox. For Enriched Air Nitrox you must be at least 15 years of age and be at least an Open Water Diver. 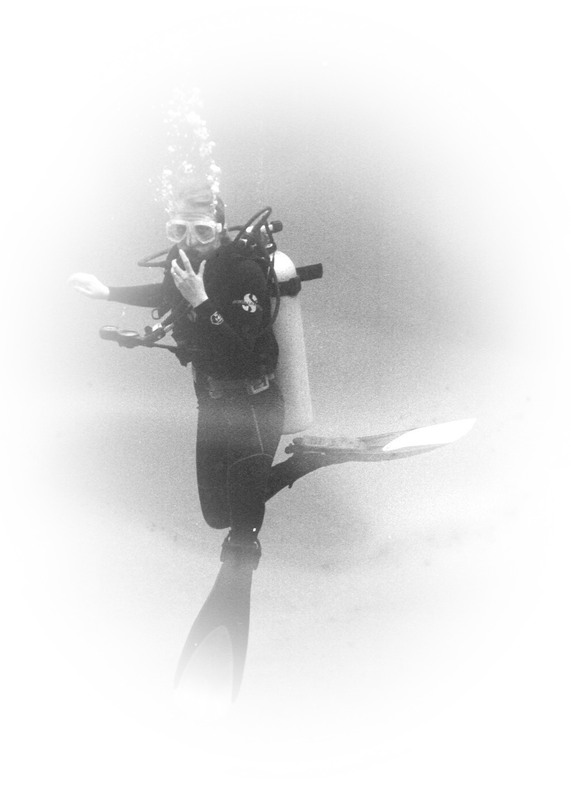 You’ll learn the procedures and preparation necessary to safely dive using enriched air. You'll need your PADI Enriched Air Specialty Diver kit and DVD. Learn how to handle depth past 60 feet. Work with wet or dry suits and get comfortable in the area below the thermocline. See what the beginning of nitrogen narcosis does to your coordination. This is a First Aid and CPR course, for divers and nondiver’s alike. It is a requirement for the Rescue Diver Class and is just plain common sense for everyone else. Get up to speed with the new CPR guidelines. As a recreational diver, you can receive training to provide vital first aid that can make a difference to a scuba diver with decompression illness. The DAN Oxygen Provider Course provides entry-level training in the recognition and management of possible diving-related injuries using emergency oxygen first aid. Be the diver you want to be, with ultimate buoyancy control, able to hover close to the bottom and examine underwater organisms without touching them. Buoyancy skills separate the good divers from the great divers. In the Peak Performance Buoyancy Specialty course, you will learn to how to precisely weight yourself for optimum control, poise and balance. You learn to ascend and descend so effortlessly, it seems like you only think about it and it happens. By mastering streamlining, you move through the water cleanly, efficiently and gracefully. You swim near fragile environments without harm to them or yourself. If you’re looking for a convenient way to try scuba, look to a PADI Discover Scuba Diving experience to broaden your horizons. You can jump into this program right here. Just come on in to schedule your class. Give it a try. Diving can change your life. · World’s most popular introduction to scuba diving · This Discover Scuba Diving experience takes just an hour or two · No equipment necessary – everything’s provided except you supply the smiles. This is the second half of the Open Water course in the class and pool. You will be taking tests and evaluations in the pool also. The DSAT Tec Trimix Diver course takes you to the outer edges of technical deep diving, opening the door to pristine dive sites few divers – if any – ever see. The DSAT Tec Trimix Diver course is intended to extend the depth range available to technical divers trained and qualified to use air, enriched air and oxygen for technical decompression dives beyond 50 metres/165 feet in open water. The DSAT Tec Trimix Diver course is intended for technical divers certified as DSAT Tec Deep Divers (or qualifying certification from another training organization). The course extends their depth range capabilities by training them in the use of trimix (helium, oxygen and nitrogen). The Basic Cave Diver course. Takes you into caves with all of the techniques to progress into that exciting new world. Cavern diver required. For the adventurous, this course will be a great deal of fun. Learn how to use double tanks and set up your gear so that you can do decompression dives. Learn about decompression tables and how you can scuba dive on the edge. From composing and taking the picture to editing and printing out the end result. This course will help you bring those pictures to life. The first few times, you sense the mystery and exhilaration of discovery. Once you get to know it, each dive rings with familiarity, reminding you of the last time you visited. The PADI Wreck Diver Specialty course teaches the basic principles for fun, safe wreck diving. Whether wrecks interest you out of historical curiosity or because they're artificial reefs with abundant life, this program will help you enjoy wreck diving more and help you avoid potential problems. Learning witch computer is best for you and some of the inner workings of the computers available today. Also, a look at the computers of the future. Learn the mechanics of dive tables and what to do if your computer stops working. For diving over 40% oxygen and the start of Trimix gas procedures. After Decompression Theory and Advanced Nitrox, this course will take you diving to extremes that you have only dreamed about in the past. Take a dive trip with Poseidon Adventures! Not that diving our wonderful lakes isn't fun, but wouldn't you like to stretch your fins on a fun and exciting dive trip? We will keep it sweet, simple, and occasional. We will not share your info, we promise!